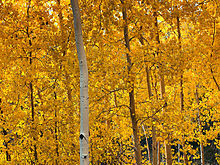 The Quaking Aspen (Populus tremeloides) is one of the most plentiful species found in North America. It can be found from Northern Canada and Alaska all the way to Mexico. Its name is derived from its leaves, which tremble (or quake) in the slightest breeze. 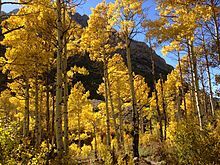 The trees themselves reach a mature height of 50 to 80 feet, and a trunk diameter of 24 inches and more. 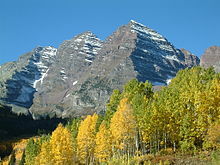 It is a short lived tree, dying sooner than 150 years in most cases, but the root system continues to live and shoot up suckers, making wild aspen extremely hard to transplant. The wood is white, with red knots, and dark brown color around the knots and in the center. Crushing strength is low, wood fiber is tough and tangled, which resists splitting. The wood can be very beautiful in paneling applications as a rustic grade. In a clear grade it is even colored without much grain distinction. 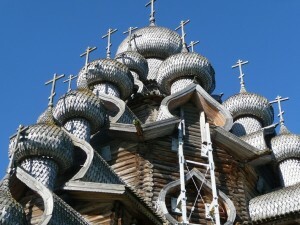 It is commonly used for Finnish saunas and Russian banyas because it is non-allergenic. It has a low flammability level, which makes it a very poor choice for firewood. Once sawn and dried, it actually weathers very well, turning a silver gray and then lasting for many years. 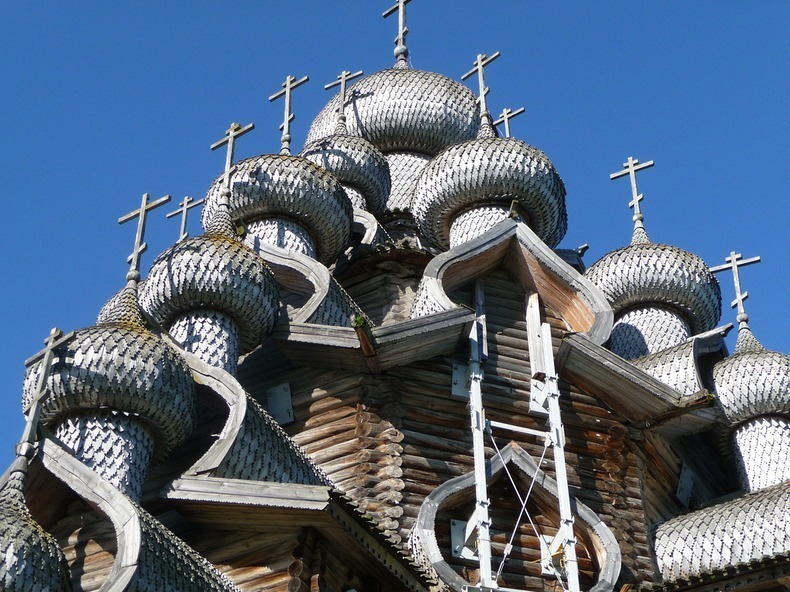 One of the world's most amazing wooden buildings is the pogost of Kizhi, (Russian Orthodox Church) built of aspen in the 18 century and still beautiful after all those years.